Do you repair other makes of clarinet? 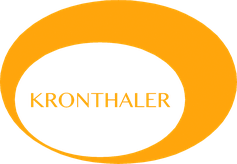 Unfortunately we’re only able to repair Kronthaler clarinets, due the huge demand on our team. Removal of the key work, necessary mechanical repairs, one week oil bath, basic cleaning of the body and key work replacing of any damaged cork, pads or springs and the regulation of springs. The key work is then [montiert!?] and the clarinet regulated. Customers can choose between a small part-overhaul and a big one and the costs depend on the time and cost of raw material. Duration approximately 2 weeks, net cost between 350-500€ per clarinet, depending on the condition. What is a general overhaul? Removal of the keywork, necessary mechanical repairs, minimum one week oil bath, and eroded keywork, basic cleaning of the body and keywork replacing of all cork, pads and damaged springs and the regulation of all springs. The whole clarinet will be checked for cracks in the wood, which will be repaired. The bore of the barrels are re-measured and, if necessary, adjusted to their original measurements. The keywork is then assembled and the clarinet regulated. Duration at least 3 weeks, net cost between 900-1000€ per clarinet, depending on the condition and the time required for the overhaul. Can I get an overhaul any time? Yes, if you book in advance. Our busy period tends to be between July and September, where we overhaul clarinets for our customers who only own one set of clarinets and/or require an overhaul during the orchestra break in the summer. When do you take reservations for summer overhauls? From February every year, we start to take the overhaul bookings for the coming summer. We can only take overhaul bookings if the exact dates required are stipulated (e.g. the dates where the clarinets can be in the workshop “from ? ?- until ??”). Are there any particular things I should be aware of when sending the clarinets? Please print and fill out our repair form and send it together with your clarinets. All reeds, music etc. should be removed from the case before. Only the barrels, clarinets and the mouthpiece which you use should be in the case. If you have a favourite barrel, please mark this clearly, so that we are aware of your preferred intonation. Your clarinets should be in their case and the case should be sent in a large, well-padded (and if possible well insulated) cardboard box. For customers living in Germany, we recommend that you send your clarinets with DHL, as they offer an express service with a relatively inexpensive transport insurance. Customers from abroad should consider taking out a transport insurance in the case that their regular insurance doesn’t cover transport. We do not accept any liability for instuments in transit.